Samford University alumni and friends in Birmingham, Montgomery and Nashville have the opportunity to visit with fellow alumni at events in April sponsored by the Samford Alumni Association. The annual African American Alumni and Friends Luncheon, coordinated by for the Samford Black Alumni Association, is April 9. This luncheon will take place at 11:30 a.m. at The Club in Birmingham. There is a $10 registration fee that includes part of the meal. The event features Samford alumnus Randall L. Woodfin, the new mayor of Birmingham, as the speaker. Recipients of the university’s new Audrey Gaston Howard Awards also will be recognized at the luncheon. 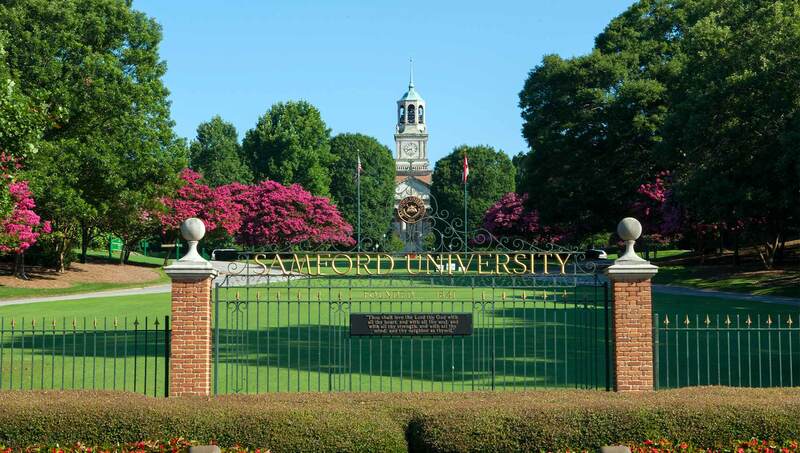 Guests will also learn more about efforts to assist current and future minority Samford students as well as opportunities with the Samford Black Alumni Association, an extension of the Samford University Alumni Association. On April 20, the Montgomery Alumni Chapter will host a Samford Night at the Montgomery Biscuits baseball game. Dinner will be served at 6 p.m., followed by the game at 6:35 p.m. The event costs $15 to attend, and there is no cost for children under 6 years old. Rounding out alumni events for the month is the Nashville Alumni Chapter spring event at Music City Dream Cars on April 24 from 6 – 8 p.m.
Advance reservations are requested for all events.